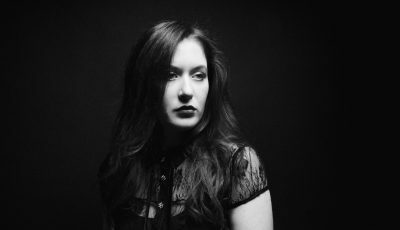 Meet the female vocalist, Doreen Taylor, who recently released her sophomore album. 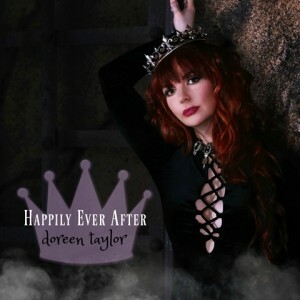 The debut single from the album reached #31 on Billboard’s adult contemporary chart and as an independent singer-songwriter, I find that Doreen’s career is an awesome example to those trying to break into the label-dominated world of mainstream Top 40. Not really. I always loved music and it was as huge part of my life, but I really never thought I could make a living doing it. I always thought I would end up being a doctor or a lawyer or something, but here I am. I guess my life changed somewhere along the way! My first memory of really knowing that I could sing was in 3rd grade. My elementary school music teacher heard something in me and decided to feature me in the Christmas concert. I performed The First Noel a capella and the rest is history! Music has always been an integral part of my past and has always been a special world that I could escape to when things got tough. You recently released your latest album. How do you think your sound and ultimately, the way you make music changed over the years? Well, I’m pretty sure that my sound has changed drastically throughout the years. 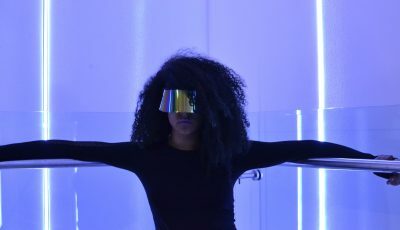 Starting in opera (I have my Master’s degree in opera performance from Temple University in Philadelphia), performing professional in Broadway shows and tours, crossing over to my debut album “Magic” which was produced as a county/pop album and now my sophomore album “Happily Ever After” which is adult contemporary/pop/R&B. This new album is finally my own real voice. I wrote every song but one on the new album and produced the entire project. I have found my musical “home” and I couldn’t be happier. My fans are also really responding to the new direction since they also sense the authenticity of my sound and image. I went back to my musical roots so to speak and it has been great. How do you think what motivates and drives you to make music changed since you first started music? Over the years I have experienced some incredible things (both good and bad) and of course as an artist, those things have changed my music since I first started. Through these life experiences I have become a deeper songwriter, as well as an artist & person. I have been able to truly write what I feel in my heart regardless of trying to fit my music into a box. I am a proud independent artist by choice and I have been able to do things the way I have always wanted to. That is a pretty amazing thing! I have a huge list of amazing artists that I pull things from when I create my own music. I can’t say there is any one artist that has molded my own career, but there are many that I have pulled the best qualities from. I will always professionally admire Michael Jackson, The Beatles, Elvis, Phil Collins, Celine Dion, Madonna, Lady Gaga, Elton John, Prince etc. They have all done things in this industry that are awe inspiring and broke barriers. Honestly, there are so many artists that I would love to work with that I couldn’t even narrow it down. It would be too hard! That’s probably the most difficult thing- finding balance. I have very little time when I am not working on the next thing in my career. Especially being an independent artist, the demands on me and my team are way more than that of an artist that is signed to a major label pulling the strings. I try to do my best to find time to just unplug and I love to travel as much as I can. I love interior design and I love designing my home and space. That seems to relax me. To be honest, I love to shop! I love to eat! I love to travel! I love to play! I love to stay active! It is just all about finding time to get to do all those things. I’m trying! I always try to write my songs to empower others. They are not inspirational per se, but each song pulls from my own experiences in life and are personally significant to me. I want my listeners to feel like they can see into my soul and feel what I felt when I wrote and recorded the songs. I try to be the most authentic artist I can be and I want to always open up my life to my fans through my music. I just hope people get a chance to check out my new album “Happily Ever After” and decide for themselves. I can promote my stuff until I’m blue in the face, but when you get right down to it, it is all about relating to your audience. I just know that I have given the best I can of me on this new project and I am proud for the world to hear it!